Word from the west coast is that Stanley is the #1 8th Grader in California. The bouncy guard gets anywhere he wants on the floor and can finish over top of the defense. Standing 6’3 with good explosiveness already, this guard has a chance to be something special down the roads. 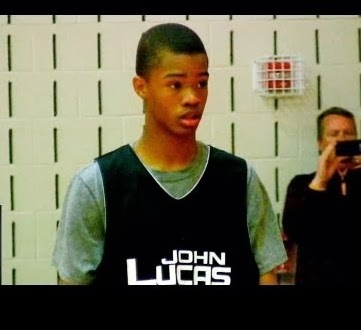 Last spring he showed his stuff at John Lucas International Combine in Houston, TX. Basketball Spotlight will be checking on Stanley this year as he has a great chance of cracking into our spring rankings when they are released in April. This video was provided by Ty Kish of City League Hoops (Hottest In The Game).